This option is ideal for those who transfer large amounts of data across the Internet, listening to music and watching video. Having speed like this you’ll never think twice before hitting the download button again. 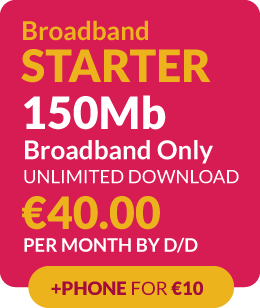 All for €40 per month!